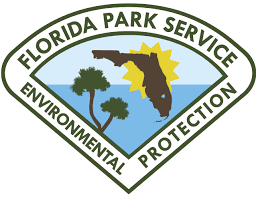 State Parks (dogs usually prohibited) - Reservations arehandled by Reserve America: 1-800-326-3521. If you are planning to transport horses, PLEASE make sure you listen closely to changing advisories. Trailers are considered high profile vehicles and may be dangerous. If the winds reach 30 mph please stay off the road. If you must be on the road use extreme caution and monitor your radio for wind advisories. Please be advised that during a storm emergency the Florida Department of Agriculture will SUSPEND all inter- and intrastate movement requirements for animals being transported out. HOWEVER, you MUSST TOP at the Florida Ag stations and receive an ALE-5 form before leaving the state. You must specify on the form the point of origin and point of destination. Click HERE for details. Georgia and Alabama will accept animals seeking refuge. Contact the Georgia Department of Agriculture for areas accepting relief. You must have the ALE-5 form with you at all times during your temporary stay in these states. Laura Bevan (850) 386-3435. Vice charman, Cindy Ferguson (941) 924-4849.
effectiveness of equine rescue organizatons throughout the United States. Montgomery, Ala. – With expectations of Hurricane Irma making landfall in south Florida this weekend, the Alabama Department of Agriculture and Industries (ADAI) has been in contact with the Alabama Cooperative Extension System (ACES), Alabama Farmers Federation (ALFA), Alabama Horse Council and the Florida Department of Agriculture and Consumers Services to confirm temporary sheltering facilities for evacuated livestock including horses and cattle. “Hurricane Irma, upgraded to a Category 5 storm with maximum sustained winds of 185 mph, has the capability of causing catastrophic damage. We stand ready to assist our neighbors in Florida, by providing a place for those who need shelter for their livestock,” said Commissioner of Agriculture and Industries John McMillan. In preparation for this storm, Alabama’s State Veterinarian Dr. Tony Frazier has been in contact with Florida’s State Veterinarian, Dr. Michael Short, in planning for the potential evacuation of certain livestock and animals. Animals moving in response to evacuation orders will be exempt from a certificate of veterinary inspection. There are four sheltering facilities that are equipped to accommodate these animals at this time. If these facilities reach maximum capacity or if additional sheltering facilities become available, updates will be posted at www.agi.alabama.gov. These sheltering facilities are only equipped to shelter livestock, not pets or companion animals such as dogs or cats. Please contact the facility to confirm that space is available prior to your arrival. > Current list of all animals, including their records of feeding, vaccinations, and tests. Make sure that you have proof of ownership for all animals. > Supplies for temporary identification of your animals, such as plastic neckbands and permanent markers to label your animals with your name, address, and telephone number. > Handling equipment such as halters and appropriate tools for each kind of animal. > Water, feed, and buckets. Tools and supplies needed for sanitation. For question or concerns about sheltering livestock during hurricane evacuation, contact ADAI Emergency Programs at 334-240-7278 or email ben.mullins@agi.alabama.gov. Survival of the fittest will always be the directive of natural law. We can never change that, but we can learn how to live with it. The first step in our survival is to learn how to take care of ourselves. We have prepared the contents of this web site in coordination with certified Disaster Planners, Emergency Management, the American Red Cross and the survivors of Hurricane Andrew. We are committed to the concept of Disaster Planning for the State of Florida.